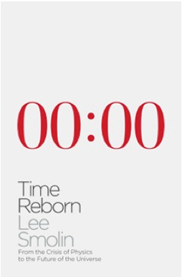 I am almost finished reading Lee Smolins book Time Reborn, which is as fascinating as it is challenging. This book is about time and cosmology. A little out of my remit in some ways but I find that at times reading at the far edges of ones knowledge can lead to some interesting insights. In No Straight Lines I use Openness as a principle, arguing that it can lead to a number of outcomes which are far more beneficial than closed systems; from accelerated innovation, to new ways of organising and providing a more invigorating cultural context for organisations to exist in, even new business models. Flows of energy through open systems tend to drive them to states of higher organization, open systems are any bounded system that can exchange energy with their surroundings. We can call this the principle of driven self organization. If the principle of sufficient reason is the paramount explanatory principle in nature, and the identity of the indicernables her prince, the principle of driven self-organization is the good angel who does the detailed work in myriads of stars and galaxies to ensure a diverse, complex universe. The steady flow of energy through a system can result in complex patterns and structures, evidence that these systems are far from thermodynamic equilibrium. Another example is the wind-created rippling on sand dunes. At the other end of the spectrum of complexity is life. Both, and many things in between, are the result of the steady energy flow through a system. This means, among other things, that complex self-organized systems are never isolated. We all ride flows of matter and energy – flows driven ultimately by the energy of the sun. Once enclosed in a box, we die. A ubiquitous feature of such self-organizing systems is that they are stabilzed by feedback mechanisms. Any living thing is an intricate network of feedback processes that regulate, channel, and stabailze the flows of energy and material through it. Feedback can be positive. So my thoughts are if this is true, then the nature of the systems we design to organize our humanity should be the same. This is a non-linear asymmetric system that works with and harnesses all energy (information), to maximize output. In a linear system, we break information down reducing its potential and efficiency. The non-linear networked design of the organizations that fascinate me and covered in the No Straight Lines project demonstrates this to be true. Openness is resilience because it is life enhancing and a fundamental pattern to life.